The design and navigation promotes quick and consistent learning. The “How To Read This Book” guide, is displayed in the front pages of the book. Icon-like symbols are placed in page sidebars, which assist readers to identify content. Many pages also have Insight Notes pinned to the sidebars. 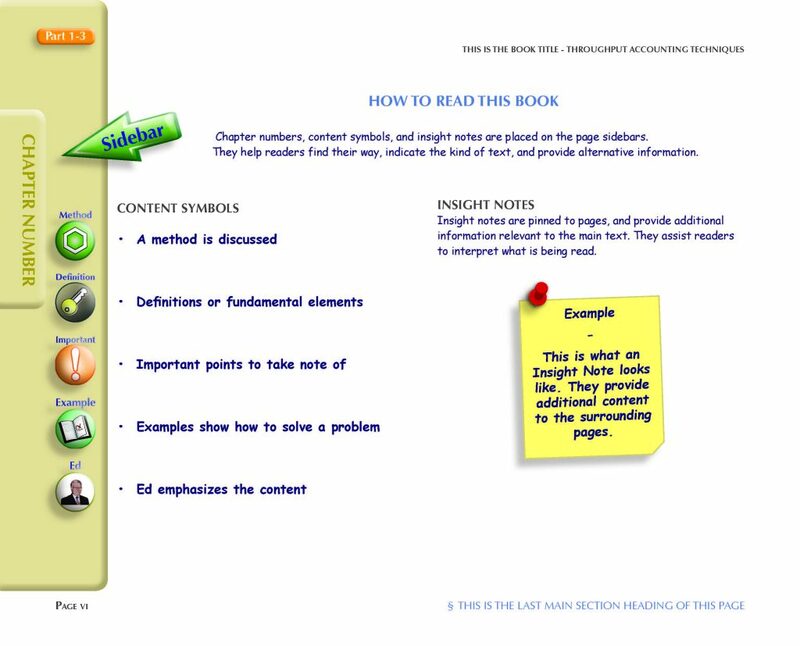 Insight Notes help readers with additional interpretation of content. 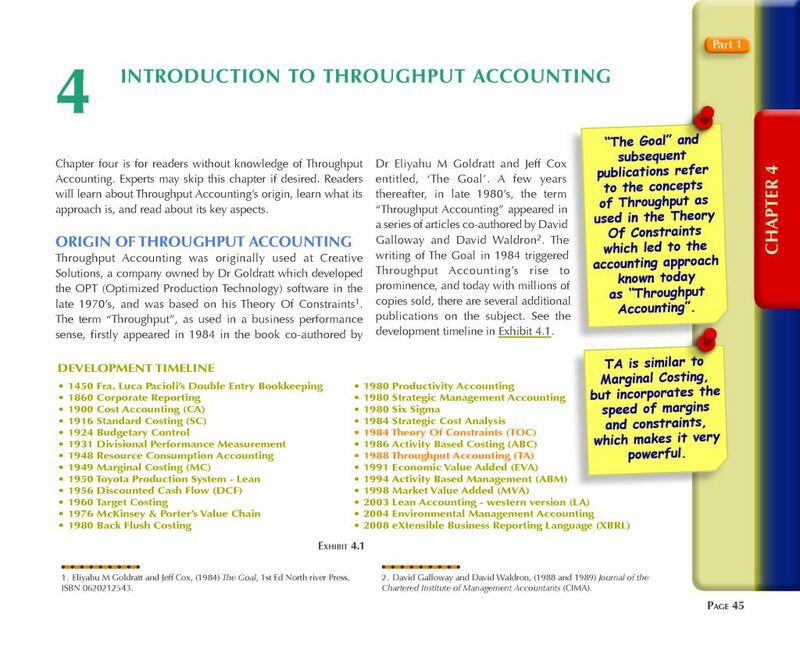 The Throughput Accounting Techniques design and navigation has been created by experienced educators for ease of learning. 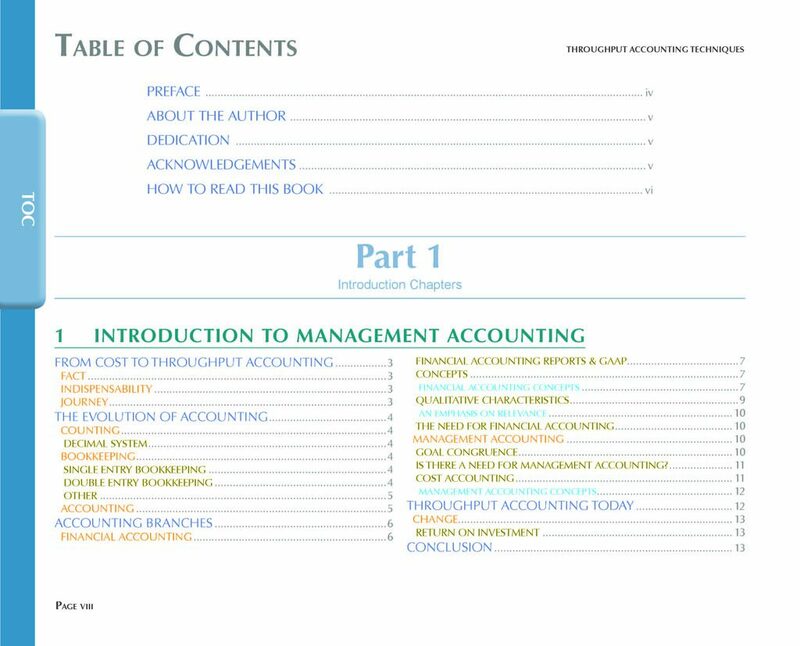 The Table Of Contents enables quickly finding contents. Styles are consistently applied throughout the book, enabling readers to absorb content in a systematic manner. There are three Parts in the book. 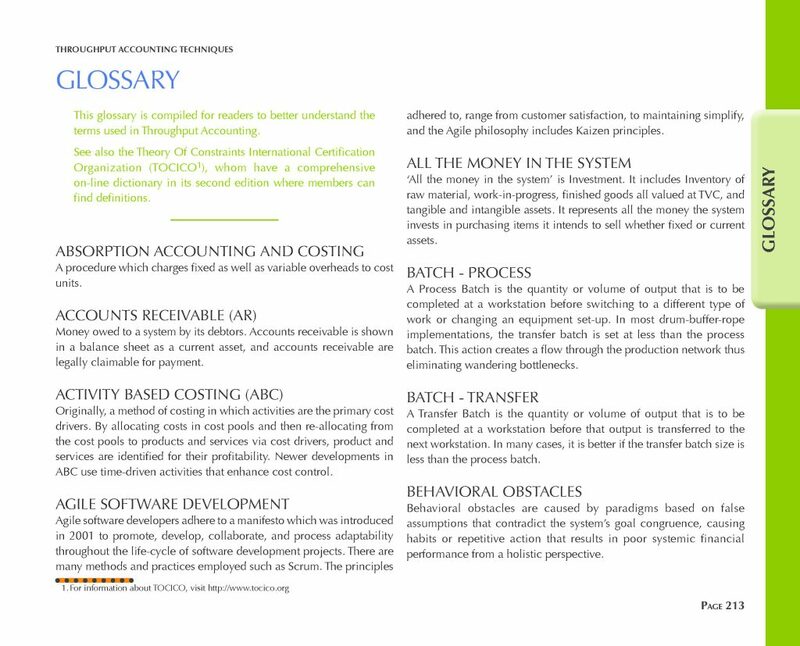 Part 1 is for newcomers to Throughput Accounting, Part 2 defines the fundamental concepts of Throughput Accounting, and Part 3 covers key areas of Throughput Accounting with examples and illustrations. 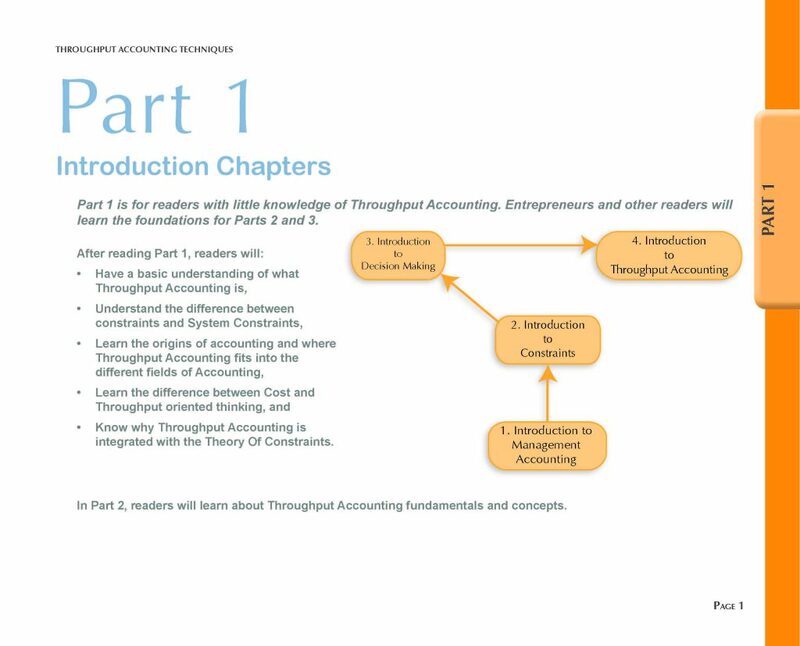 The fourteen chapters covers a wide range of Throughput Accounting aspects, and attention to detail has been provided. The Glossary is used throughput the book to explain the meaning of terms. It is specifically aimed at Throughput Accounting. 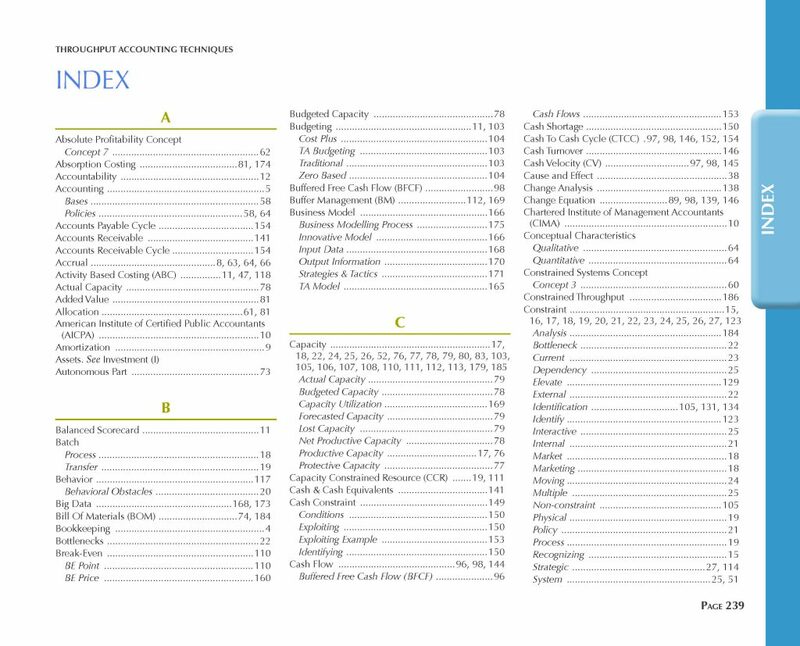 The Index provides is a quick reference to topics covered in pages.